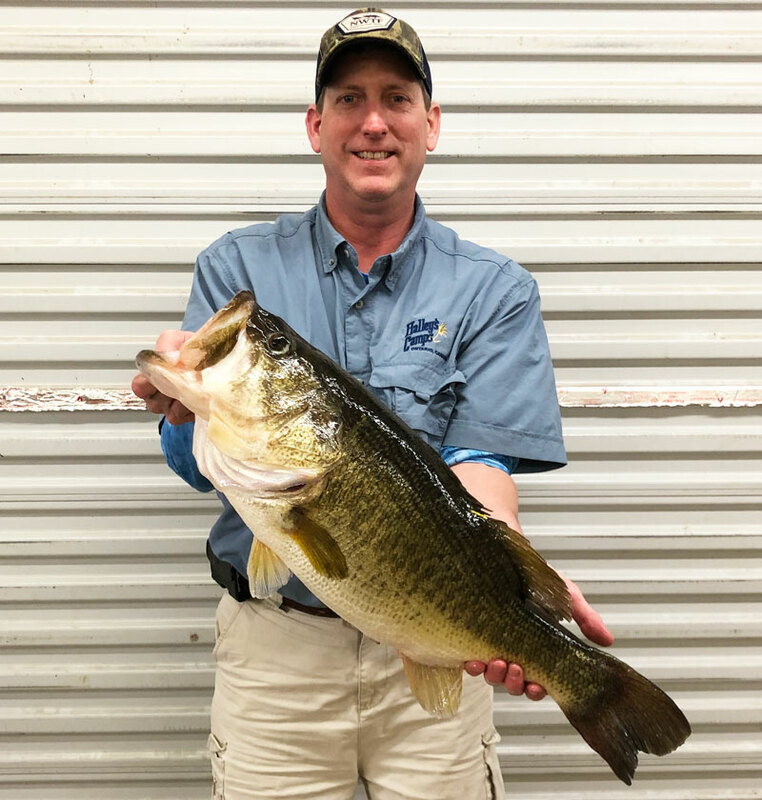 Missouri’s unofficial nickname is the “Show Me State” — and St. Louis angler Bryan Hargiss definitely showed everyone how it’s done when he landed a giant 11.14-pound largemouth bass at Toledo Bend on March 13. 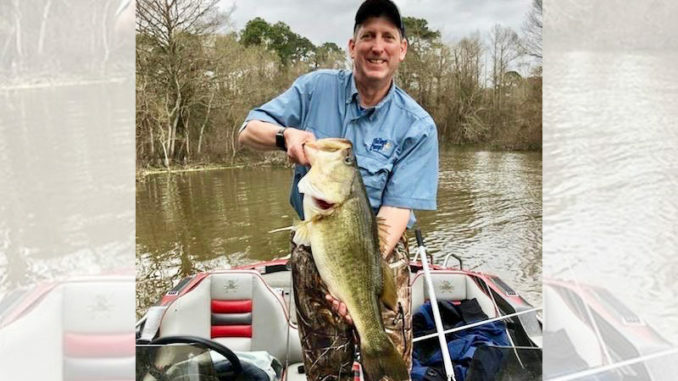 The 52-year-old is one of several Missouri-based anglers who started making an annual springtime trek down to the Bend together in the late 80s, and Hargiss caught the group’s biggest fish ever this year when the giant bass inhaled his watermelon red 5-inch Senko on the Texas side near Holly Park Marina. “It was windy and overcast, and we were way back in one of the coves fishing an island. It was off of some buck brush,” Hargiss said. 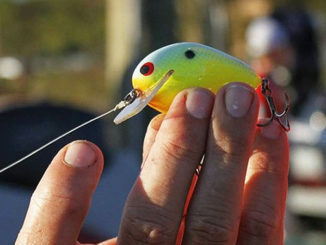 “Because of the hydrilla and coontail moss, I was just throwing the Senko Texas-rigged with no sinker. 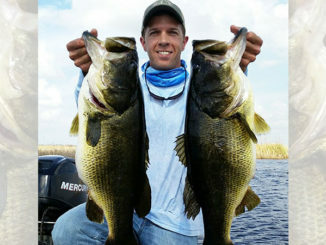 The big fish bit in the shallows and started pulling drag before eventually being netted by Hargiss’ boating partner that day, Andrew Watson, who caught an impressive 9-pounder during the trip as well. 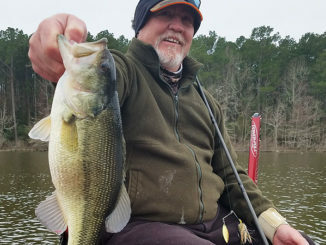 On Toledo Town & Tackle’s certified scales, the big fish officially weighed 11.14 pounds, easily qualifying Hargiss for entry into the Toledo Bend Lunker Bass Program, which awards anglers who return double-digit fish to the reservoir with a complimentary mount.